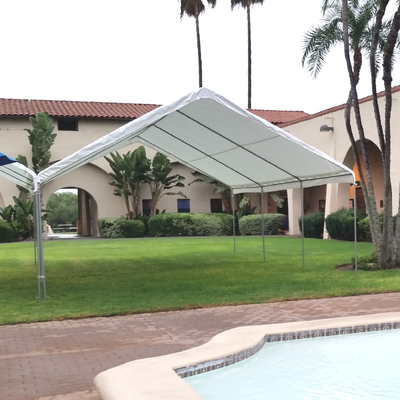 This 20' x 30' Party Canopy Tent rental can provide a shady or covered area for your guests at your outdoor event. 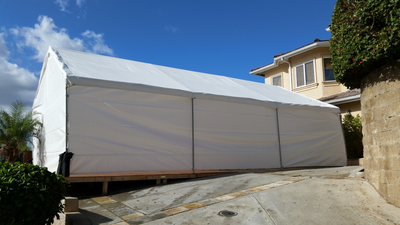 This party canopy measures 20 ft x 30 ft and has a white canopy top. The sides are about 6 ft high and the peak height is about 11 ft high. Solid sidewalls are available at no additional cost if you would like to use this canopy as a tent. Please select the appropriate number of sidewalls you would like from the options above. 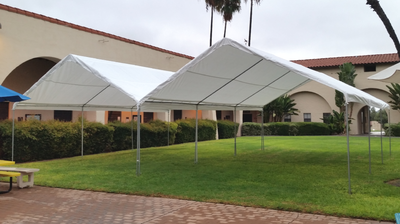 The price of this tent rental includes the set up and tear down of this canopy or tent. 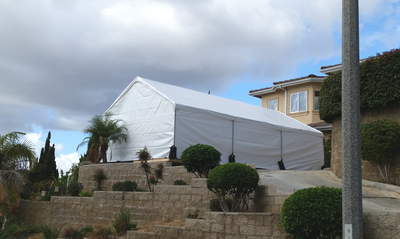 This party canopy requires between 1 and 1.5 hours to set up or tear down. Please have your intended setup location selected, cleaned and cleared of any vehicles, debris or obstructions by the start of your delivery arrival window. This party canopy or tent cannot be moved once set up has begun so please have your desired setup location selected upon arrival.